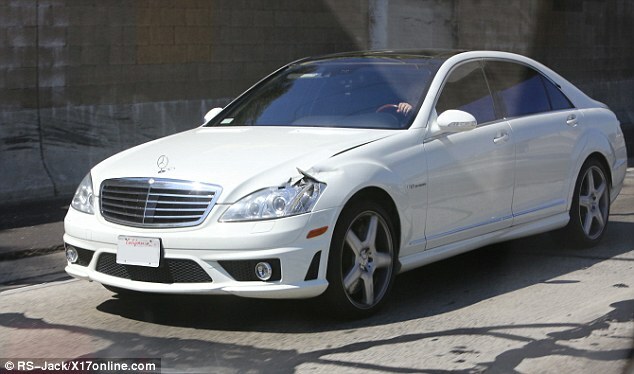 Khloe Kardashian appears to be as dedicated as ever to her troubled husband Lamar Odom. The 29-year-old was spotted on Monday wearing her wedding ring, following reports that she has learned of Odom's whereabouts after he went missing last week. The reality star's outing, where she was seen buying supplies in Beverly Hills, comes amidst speculations that she was on her way to see her spouse as he reportedly attempts to kick his drug habit in a hotel. The report follows claims that the two had split on Wednesday last week. While the pair might not be splitting there is certainly trouble in paradise. According to TMZ, the NBA player is addicted to hard drugs, a secret that Khloe has apparently kept even from her own family. But that soon changed, as she is said to have attempted to stage an intervention with Odom at their Tarzana, California, home, which resulted in him disappearing for nearly four days. The claims that Odom, 33, is abusing drugs - speculation surrounds the nature of the substance abuse, varying from hard drugs to prescription medication - are especially shocking, given his own family history. 'I witnessed things that a 10-year-old definitely wasn’t supposed to see,' he told his reality star wife on the show after his father arrived unannounced at a Kardashian book signing event. 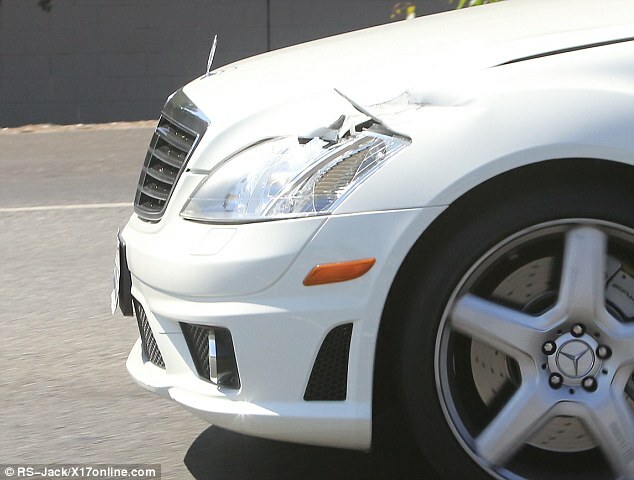 Meanwhile, there may have been some other behind the scenes drama as Odom's $212,000 Mercedes S65 AMG sedan was seen being taken on Monday to a repair shop with serious signs of damage to the body of the car. Earlier this week the Kardashian family allegedly staged an intervention to convince Lamar to return to rehab, but he refused. Khloe is said to have urged Lamar in August 2012 to go to rehab and after he entered a San Diego facility she hired private investigators to make sure he didn't leave. Lamar reportedly constantly threatened to leave the rehab clinic and Khloe visited several times to convince him to stay, but he left after three weeks, sources said. Lamar, who won two championships with the Los Angeles Lakers, stayed clean and played well last season for the Los Angeles Clippers, but sources said he resumed using drugs after the season ended. Neither Khloe nor Lamar has contacted a divorce lawyer. 'Khloe is more concerned about saving Lamar than ending her marriage,' a source told TMZ. Khloe allegedly tossed Lamar out of the house after the failed intervention, and he was pictured Wednesday as an associated loaded a number of large suitcases into his car in Calabasas, California. Khloe and Lamar got married in 2009 about a month after meeting each other. Khloe has recently endured reports that Lamar had an affair with Jennifer Richardson for a year until March 2013 and a six-week fling with lawyer Polina Polonsky at the start of the summer. Representatives for Lamar did not respond to MailOnline's request for comment.